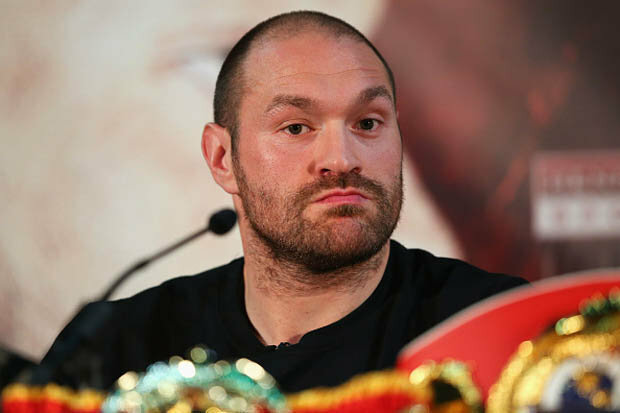 TYSON FURY has failed a SECOND drug test. It was revealed last week that the WBO and WBA heavyweight had champion tested positive forbenzoylecgonine – a marker for cocaine – in a urine sample he provided on September 22. Subsequently, it has emerged he also failed a test the day before, for cocaine, as well.This week Fury, 28, backtracked on a threat to retireand also admitted in a magazine interview that he has taken “lots” of cocaine and is battling depression.The Manchester-born fighter also claimed he has been sober since October 1 and later posted on Twitter he was “getting the right help” and would “come back stronger”. Fury pulled out of his October 29 rematch with Wladimir Klitschko with his team saying he was “medically unfit” to fight. The second failed test is unlikely to have any impact on his case with the British Boxing Board of Control, who could cancel his licence, ortheWBOandWBAwhoare set to strip him of his belts.George Groves admitted yesterday that his old friend has hit rock-bottom.“It’s very difficult because boxing is a lonely sport and the guys who dwell in solitude are the guys who are successful,” said Groves, who returns to the ring on November 18 to face Eduard Gutknecht at Wembley Arena. ———————————————————————Ricky Burns defendshisWBA light-welterweight titleagainstKirylRelikh in Glasgow tonight.And Scotland’s three-weight world championhas been promised a money-spinning bout with American motor mouth AdrienBroner if he wins the first defence.Burns said: “I understand why there has been a lot of talk about Broner, it is a big fight. “I’ve always said I’d love to fight in Las Vegas. I’ve been there on holiday but I’ve only ever seen Garth Brooks rather than a fight. But there’s no point talking about America. “I’ve got a hard fight ahead of me first against Relikh.